Assign to Person responsible for the purchase. 2. Fill up the information on the top half of screen then click “Save” button at the bottom right side of screen. 5. There is also a tab for Notes and Attachments. 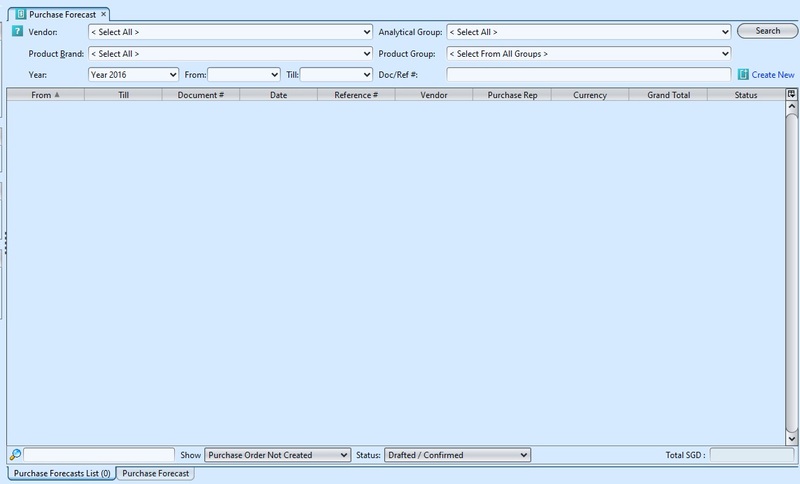 Click on “Notes / Attachments” tab at the middle of screen to add notes or files attachment for the purchase forecast. 8. 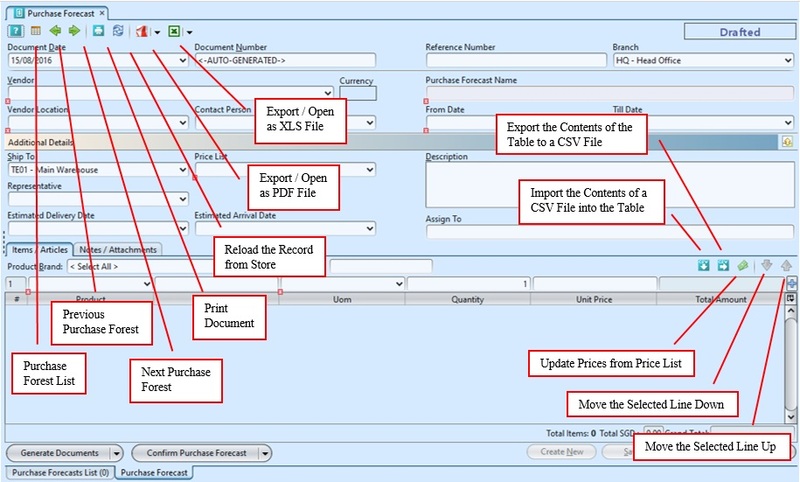 Click on “Approve Purchase Forecast” button at the bottom of screen to approve the document. 9. The user must Confirm the Purchase Forecast and has the ability to Generate the following documents : Generate Similar Forecast and Generate Purchase Order. 10. 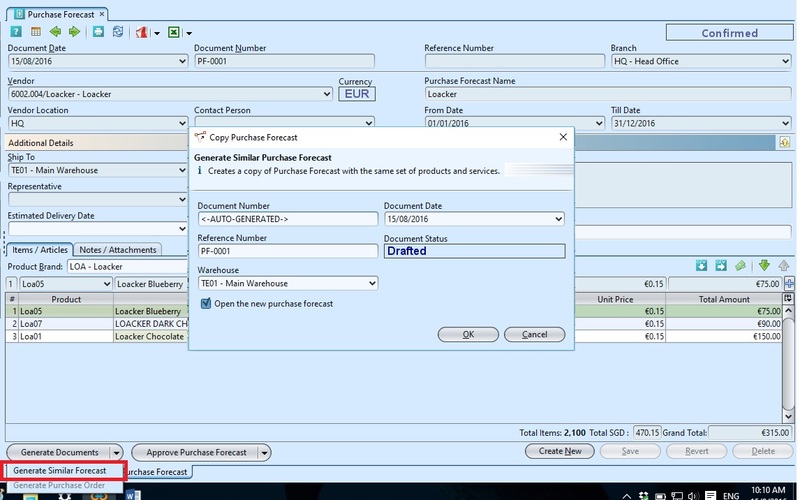 Click arrow on button at the bottom left of screen to generate the purchase forecast report. 2. Double click on purchase forecast to be updated, it will bring up the details on “Purchase Forecast” tab for the selected document. If a purchase forecast’s status is “Confirmed” or “Approved”, click arrow on the button and select reopen / undo approval of the purchase forecast first. 7. 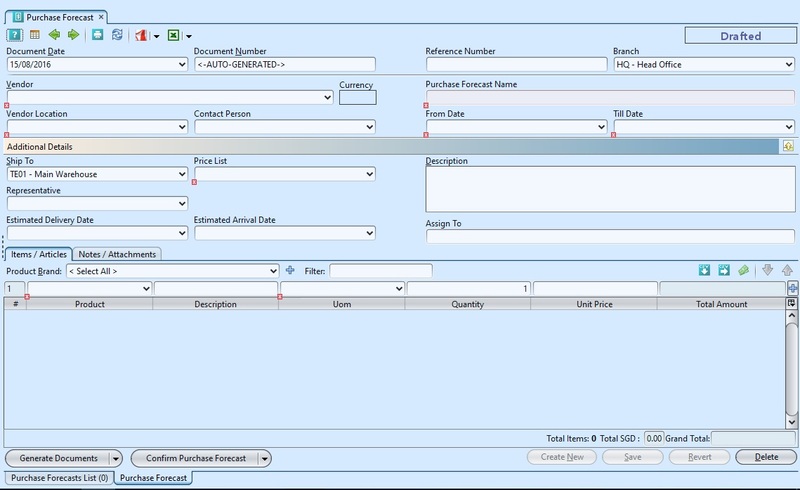 Click on “Approve Purchase Forecast” button at the bottom of screen to approve the document. 2. Double click on purchase forecast to be deleted, it will bring up the details on “Purchase Forecast” tab for the selected document. If a purchase forecast’s status is “Confirmed” or “Approved”, click arrow on the button and select reopen / undo approval of the purchase forecast first. 4. Click on “Yes” button on the pop-up window to confirm the deletion. 1. In the purchase forecast list the users are able to view the lists of Purchase Forecast, which have different statuses i.e in the Show: Purchases Order Not Created and Purchase Order Created. In the Statuses they can select Draft/Confirm, Draft, Confirm,Approved, Accepted and Closed. 3. 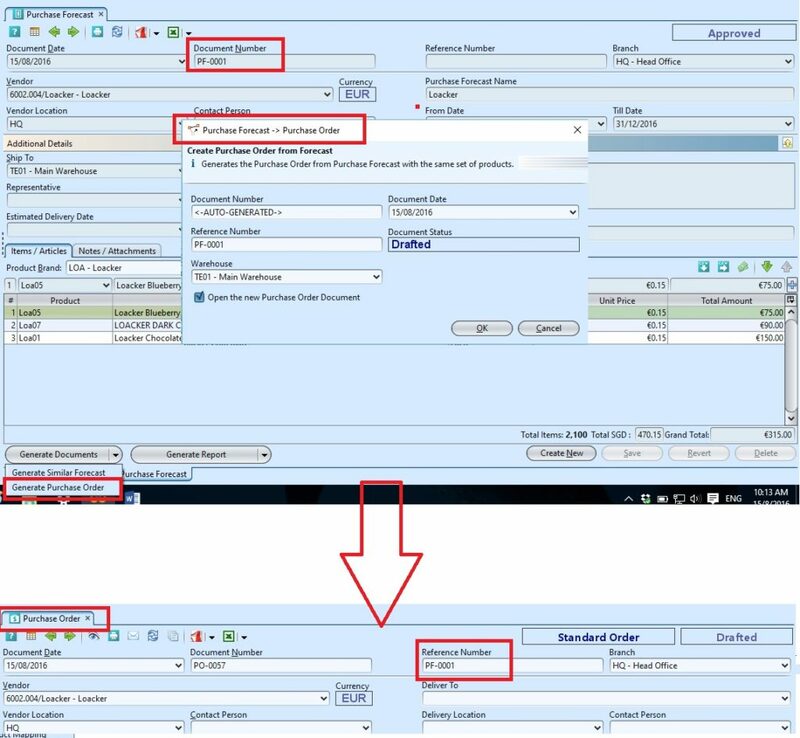 The user can double Click on any line item which will take them into the full detailed document list in Purchase Forecast.